The Real Deal is pleased to announce that we will be hosting this year’s golf outing at The Muttontown Club in East Norwich, New York. Muttontown is a beautiful private country club available exclusively to members and their guests and offers the perfect setting for meeting and mingling with NYC’s real estate elites. The day will include breakfast, a shotgun start and cocktails and meals, including a semi-formal dinner. For the first time ever, a portion of the proceeds from this year’s event will benefit Make-A-Wish, which creates life-changing wishes for children with critical illnesses. Be sure to mark your calendars and start planning your foursomes! 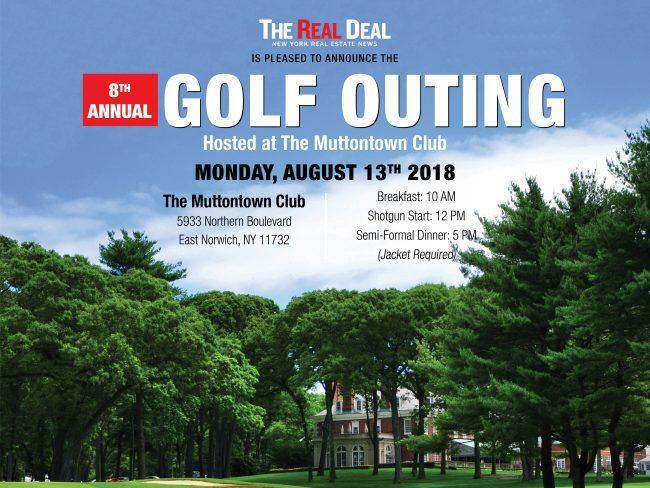 For sponsorship opportunities, please contact Golf@TheRealDeal.com or call 212.260.1332.